In the context of this article, strategy games are defined as “contests of decision-making” and therefore a very specific form of interactive system. These potentially highly replayable games are usually played in matches and demand creative finesse in coping with diverse challenges. They can’t be “beaten” and are therefore fundamentally different from linear games with a preset story or level structure (such as Uncharted or Super Mario Bros.). The following article elucidates the core concepts underlying these systems to then derive specific quality criteria for their gameplay design. Designer and author Keith Burgun would simply call decision-making contests “games” in his taxonomy of interactive forms, thus separating them from goal-less toys, solvable puzzles, and “pure” contests (which measure a single specifically defined skill). A decision is defined as a situation, wherein the player has enough and insufficient information at the same time: On the one hand he can’t be completely sure as to which action alternative is the best one, else there would be nothing to decide since the correct solution is already known. On the other hand the player must have some information on which to base his choice, otherwise every alternative would effectively be the same, again destroying the decision (in other words, it might just as well be “decided” by a die roll). On top of that the decision has to come with permanent consequences. If it didn’t the player wouldn’t decide anything, but merely try out the options. Further, a contest of decision-making is an interactive system wherein at least one player makes decisions, whose quality is then evaluated in the context of a specific goal, and finally leads to winning or losing. The word “contest” does not necessarily imply multiple human players or an AI simulating a human opponent. 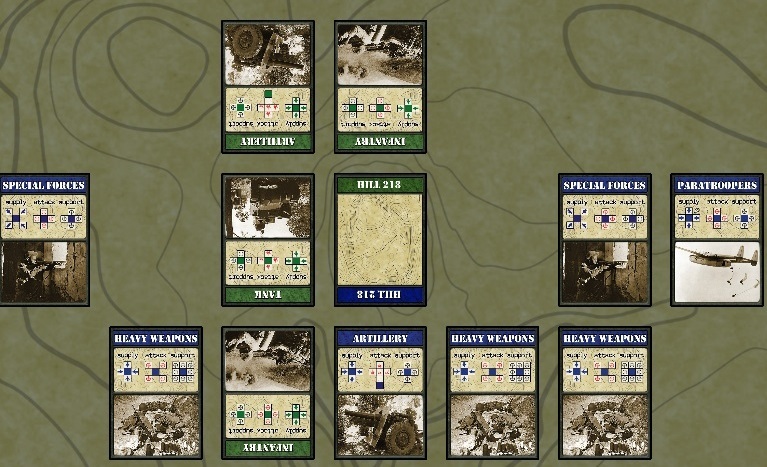 In the case of single-player strategy games the system itself is the “opponent”. An obvious criterion for the quality of such a system is the interestingness of the decisions themselves, which is directly connected to the range between solution and guess (see slide on the left, taken from Burgun's talk at Practice 2013): How difficult is it to choose between the given alternatives? Do I have enough knowledge to make a well-founded assumption as to what the optimal option could be? Do I, at the same time, have too little knowledge to be completely sure of the qualitative ranking of all the actions? Then I’m probably facing an interesting decision. The following sections will explain a few more (possibly less obvious) criteria by which to assess the design of a decision-making contest. Another factor of central importance for strategy games is transparency, the clarity of the game’s mechanics. This does of course not mean that players should know what their best action is in any given case (again, this would destroy the decision). However, it should always be clear how the current situation came to be, which action alternatives exist and what their immediate consequences are regarding the game state. Transparency is concerned with clearly laying out the rules of the game at any given moment. A non-deterministic system can also be completely transparent if all the odds are known, for example when rolling a six-sided die to find out if a monster was hit or missed. Soren Johnson views transparency as the primary difference between board and video games. While the former are usually mechanically very well-defined, the latter (intentionally or not) often obfuscate their exact inner-workings (simple example: huge and mysteriously calculated scores). A little less tangible but at least as important is the concept of elegance. Jesse Schell describes it in “The Art of Game Design” as follows: “Elegance is one of the most desirable qualities in any game, because it means you have a game that is simple to learn and understand, but is full of interesting emergent complexity.” Thus the basic principle is “easy to learn, hard to master”. This means that the overall system has to consist of elements that are easy to understand (having little inherent complexity), and only in working together create a lot of depth and possibilities (emergent complexity). In other words the system does a lot with relatively little. A game can be immensely complex and still elegant if it just creates far more depth than it has by the inherent complexity of its rules alone. 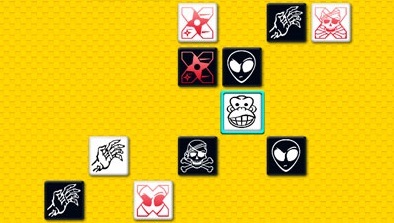 The other way around, a simple game can be inelegant if there’s actually not much more to it than what can be seen on the surface (see Tic Tac Toe). In general though, a great design expresses itself in as few and simple components as possible. This allows players to access the actual strategic depth more quickly and makes for a much more pleasant learning curve throughout the game’s lifecycle. In short, elegance is the foundation of efficient value delivery. The mentioned emergence in turn contributes to another criterion: variety. 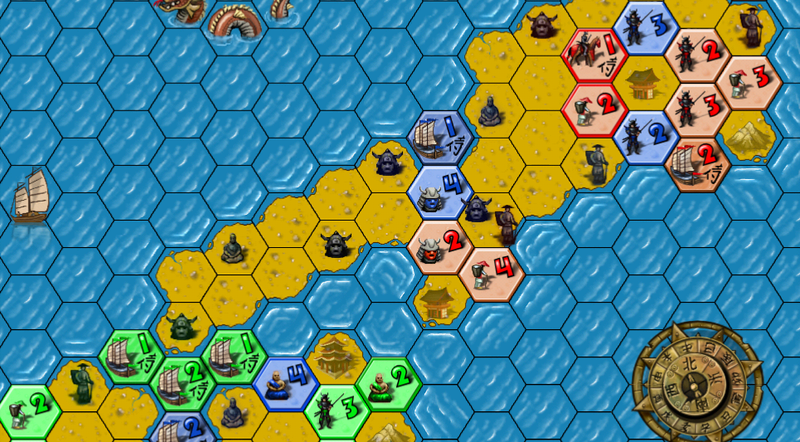 A good strategy game allows for and generates a broad range of possible situations. Warren Spector, on that note, calls system-based games “engines of perpetual novelty”. Players will consistently be facing novel situations. Therefore they cannot simply rely on memorized knowledge but have to employ their systemic understanding to find creative solutions. Richard Garfield and his colleagues describe this behavior in “Characteristics of Games” as the application of heuristics: Players develop “rules of thumb” over time as they learn to better understand the system. In any given situation they then decide whether to follow these rules or not, or maybe even discard or revise them altogether. Deep multiplayer games offer an especially high potential for variety since the opponent’s actions can never be truly predicted, therefore potentially making each match a novel experience. 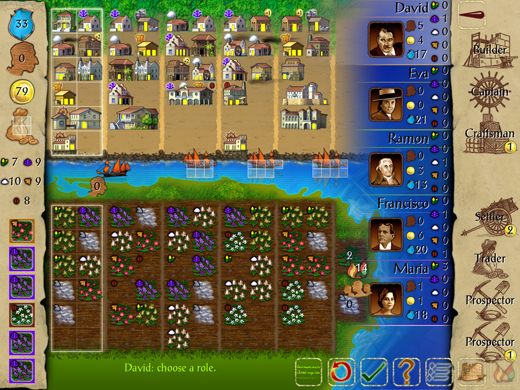 Additionally, input randomness affecting the game’s initial setup (such as random map generation in Civilization) can support the emergence of varied game states. In single-player strategy games this form of randomness is in fact absolutely necessary. Without it there can be no decisions since long-term it would just come down to memorizing and executing the perfect solution. Next up, a game’s balancing is not only concerned with the systemic elements but also the decisions themselves. When a decision-making contest is “in balance”, all the action alternatives are weighed against one another. There can’t be dominant strategies because those are essentially solutions, decisions already made before they’re even considered. On the other hand, there shouldn’t be obviously inferior elements that never play a role, since in an otherwise coherent system those would in the end just be “dead weight” - noise obfuscating the systemic clarity. For example, consider a fighting game that has a “strong kick” and a “weak kick” attack. Assuming strength and speed are the only factors, the strong kick can’t also be the faster one. If it were, the weak one would never be used in a competition between rational players, and shouldn’t even exist in a well-balanced system. Every single element has to serve a particular purpose and have “its place” in the overall game. The act of balancing saves elements from irrelevance. A strong sense of coherence and the potentially resulting emergence in combination with well-balanced action alternatives will in turn incentivize players to employ their creativity. Decision-making contests live by the fact that not every small step the player could take and the according reaction of the system is pre-planned by the designer. Situations aren’t manually assembled but emerge dynamically in-game. Indeed a lot of videogames allow for creative play, but in most cases that’s just a “cool shenanigan”, a move that will get the player imaginary “style points” in front of his friends but has no actual relevance in the game because it’s far from the optimal way of doing things. A good decision-making contest enforces creative play by making the “cool” move the mechanically optimal one that causes the best possible systemic feedback. 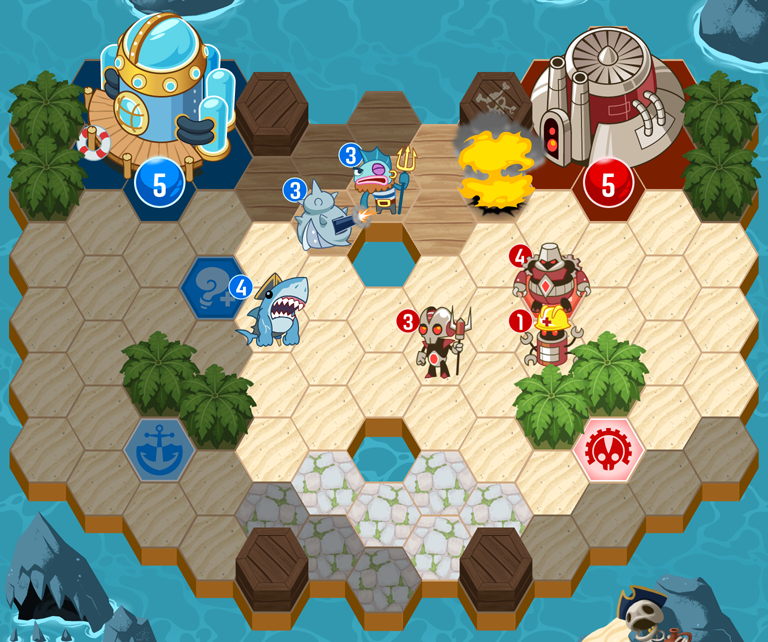 To exemplify this concept we can take a look at Auro: A Monster-Bumping Adventure by Dinofarm Games. The core idea of the turn-based tactics game is that all actions work indirectly, centering around the core mechanism of “bumping”. 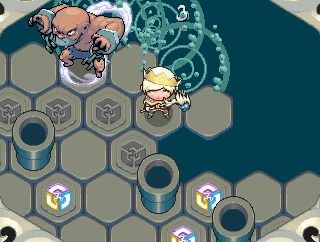 The player for example doesn’t shoot fireballs at monsters, but he tries to maneuver those monsters (by several means) into previously placed flame traps. Monsters are never directly attacked for damage, but only ever pushed one tile further. The player has to find ways of moving them into fire or water, over ice, through the air and any imaginable combination of all those. There are “only” nine different skills but they were balanced and honed for years to be maximally interesting on their own and in combination with each other. Additionally, they also interact with the terrain and all the different monsters (who in turn all have their own tactically relevant special abilities) in a myriad of ways. The resulting emergent complexity is absolutely massive. But on top of all that, the most spectacular and clever way of dealing with a situation is usually the one that’s most rewarded by the game system. Players receive the highest amount of points for big action chains, cunningly combining various skills in multiple consecutive turns - i.e. for employing their creativity in repeatedly coming up with these satisfying little strokes of genius. By contrast, a “natural enemy” of the decision-making contest is the dependence of a player’s success on mere luck, for example caused by output randomness (like rolling dice to determine the amount of damage done in an RPG) or input randomness with unfairly high variance regarding its effects on different matches or players. These elements are in immediate conflict to the system’s core: the decisions. The more the outcome of a match depends on luck and randomness, the less weight a player’s decisions have in the end. On top of that, the systemic feedback is distorted by chaos: Did I win because I made better decisions? Or was it just luck? In most cases it’s simply not possible to draw a clear line between the two factors. The phenomenon of “imagined agency” is therefore closely related to this problem: In the case of defeat many players assume they were just out of luck. Any victory however they quickly ascribe to their superior skill. This may seem like a positive feature at first from a psychological point of view, but it is actually completely based on players willing to consistently fool themselves. And a design relying on such a thing can only be called dubious at the very least. Besides dependence on luck, a big impact of motoric execution on the outcome of a game is also problematic. If the result for example depends to a non-negligible amount on who has more dexterity, the decisions are of accordingly reduced importance. For example, in a match of Starcraft it’s possible that one player constantly makes better decisions but loses in the end because his opponent was able to click way faster and more accurately. In an ideal contest of decision-making though, the end result wholly depends on the choices that were made. Decisions are questions of “Should you do X?”, whereas an execution requirement asks “Can you do X?”. In this sense real-time games always call for a bit of skepticism. A borderline case is for example Spelunky which has an important execution component, but its relevance is at least rivaled, and often trumped by decision-making. Of course all these criteria and observations are mostly mechanical and systemic affairs. And indeed in terms of the ruleset design (which is the focus of this article), things like story, characters, setting and even theme play a subordinate role. 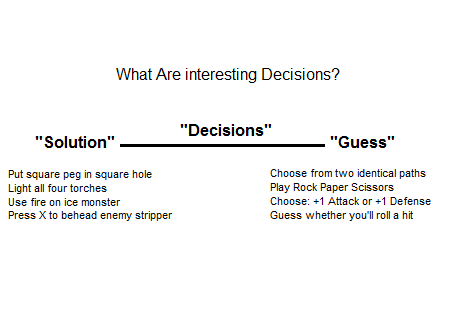 For a decision-making contest the main purpose of a theme is to make the mechanisms feel more intuitive. It’s for example easier to grasp and internalize that “the sword fighter can only attack adjacent enemies, while the archer can attack enemies in a distance of two tiles” than a more abstract “the square stone can only remove adjacent stones, while the round stone can remove stones in a distance of two tiles”. Theme means using the player’s common knowledge to ease him into learning the rules. By extension, the presented criteria inherently incentivize innovation: Two decision-making contests that only differ in terms of theme (not in terms of how intuitive they are), but are mechanically equivalent, do actually not differ at all. In the case of the newer of the two, there was basically nothing to design except the packaging or, to say it with Raph Koster, the “dressing”. Then again, said "dressing" has without a doubt been a major focus throughout the whole industry for decades. And although the form of the decision-making contest lost a lot of momentum in the 1990s and 2000s due to rapid technological advancements enabling audiovisual spectacle to take over in terms of popularity, there has been kind of a revival over the last years. Permanent consequences and skill-based games count for something again. Games like FTL, The Binding of Isaac or Crypt of the NecroDancer are very successful. The term “roguelike” has almost become a marketing buzzword and often basically an indicator of whether or not a system actually is a decision-making contest or not. On top of that there has been a fusion of the digital realm with board games (which have essentially always been dominated by decision-making contests), especially indicated by a huge amount of board game adaptations taking over the strategy game genre on iOS. 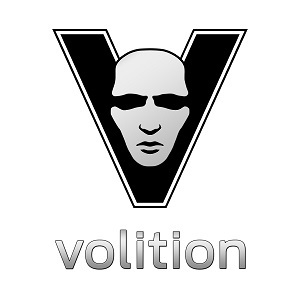 This could just be the beginning of a golden age of strategy games. In the end, what’s truly unique about the decision-making contest and provides it with “evergreen” potential is the systemic learning it allows for. To master a deep strategy game is to see through a complex web of interconnected parts (whose cautious and elegant composition can be of immense aesthetic value) and be able to reliably manipulate it to one’s own advantage. It’s about finding correlations between individual elements through the repeated examination of hypotheses about the system, and piece by piece building a mental model of the game’s possibility space, a giant network of heuristics. In witnessing one’s own understanding and the resulting finesse of play grow, is where the core value of strategy games lies. It truly is, as Frank Lantz put it, “thought made visible to itself”.